Karim Rashid is one of the most well-known international designers, and his work is known for being innovative, forward-looking, and strikingly relevant. From furniture to fashion to products for hip brands like Umbra and Method, Karim's colorful projects have burst through the design community and into the mainstream. Inspired by his view that all design is a "rigorous beautification of our built environments," Karim uses unexpected shapes and colors and unusual materials to create objects and environments that are at the forefront of design innovation. Karim is an equally prolific interior designer, with a vast and diverse repertoire of installations and built work, including luxury hotels (Athens' Semiramis), restaurants (Morimoto in Philadelphia; Nooch noodle bars in Singapore and NYC), a subway station in Naples, custom home interiors, and installations at sites around the world. 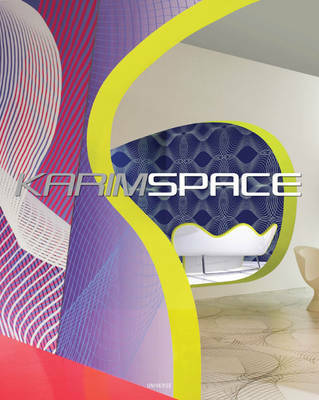 KarimSpace showcases forty projects in a dozen countries (many new or recently opened), showing how Karim applies his signature aesthetic to different environments. The book will include an essay and an overview of each project by Karim, as well as images and a complete project index.